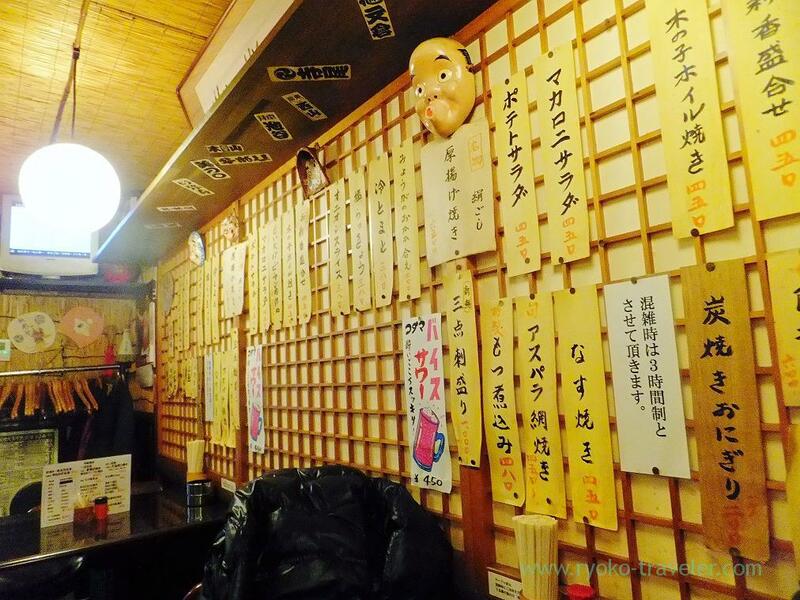 As a result of strategy meeting at Frutas, we went toward Ningyocho. And we came in front of the shop. 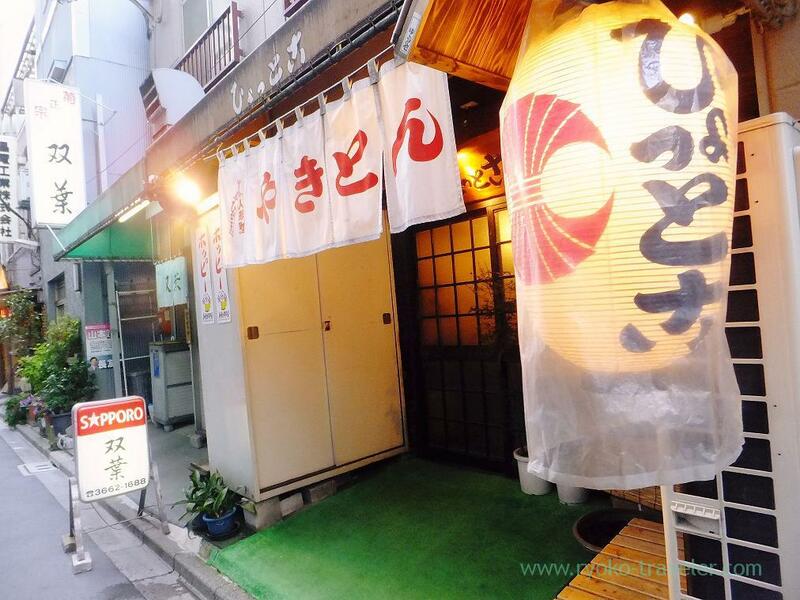 “Kanemasu” is stand-up-eating izakaya serving fresh seafood. 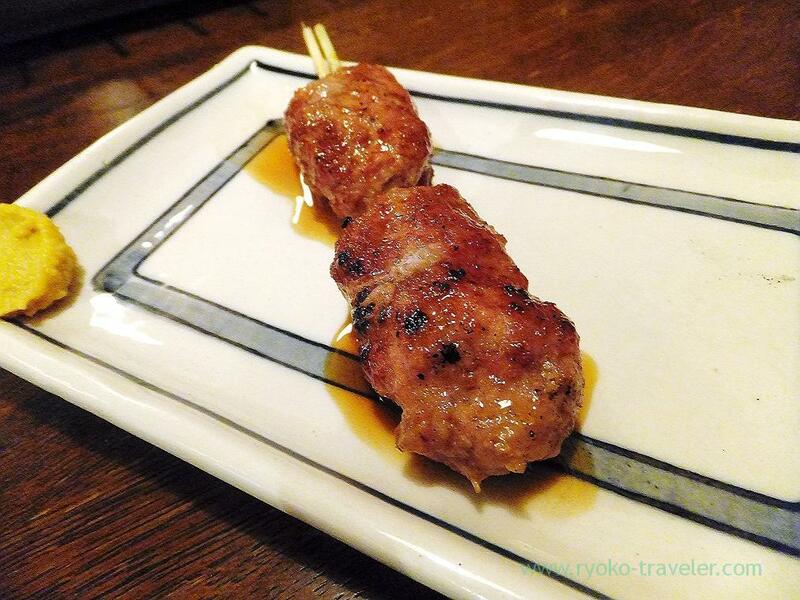 And this izakaya, Yakiton Hyottoko serve fresh giblets can be eaten as raw. 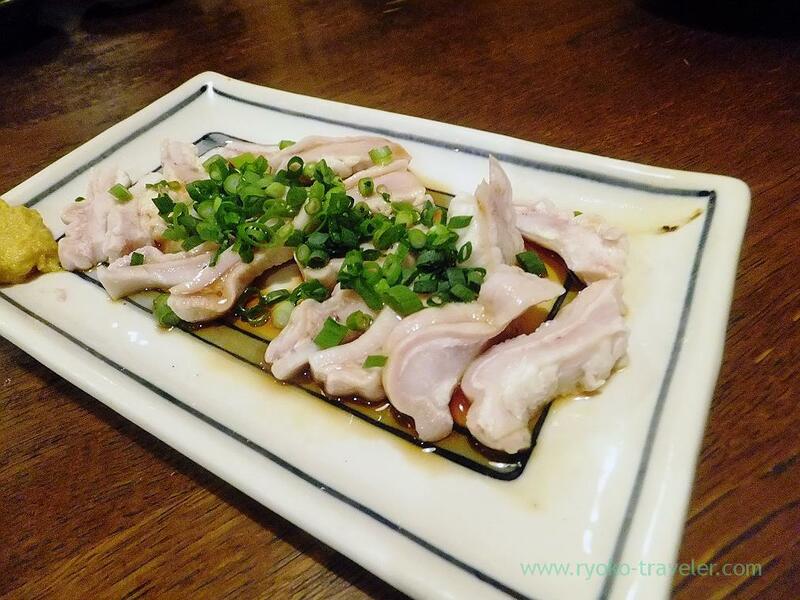 They serve fresh pigs’ liver as raw that still avoid from control. This shop accepts reservation only if every group members can arrived at the shop before 18:00. 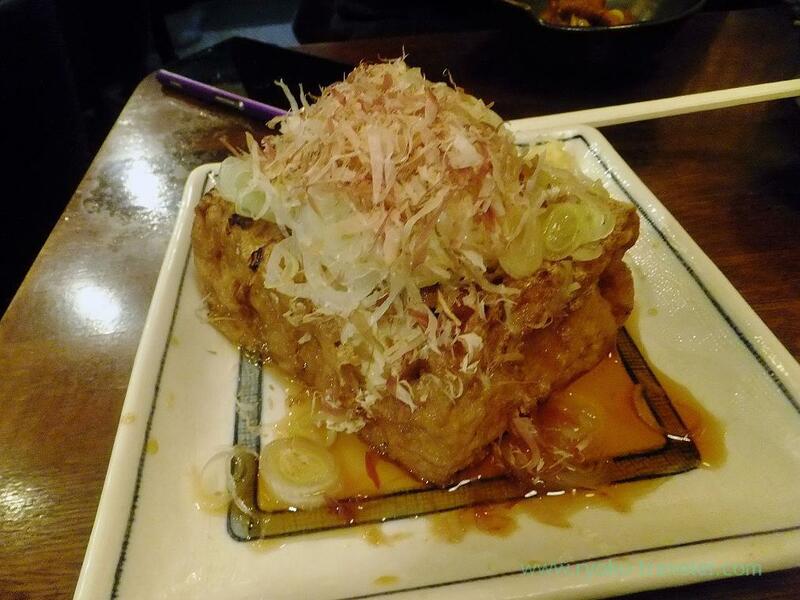 At first, appetizer (otoshi) came. They serve two dishes of this to us. And…. 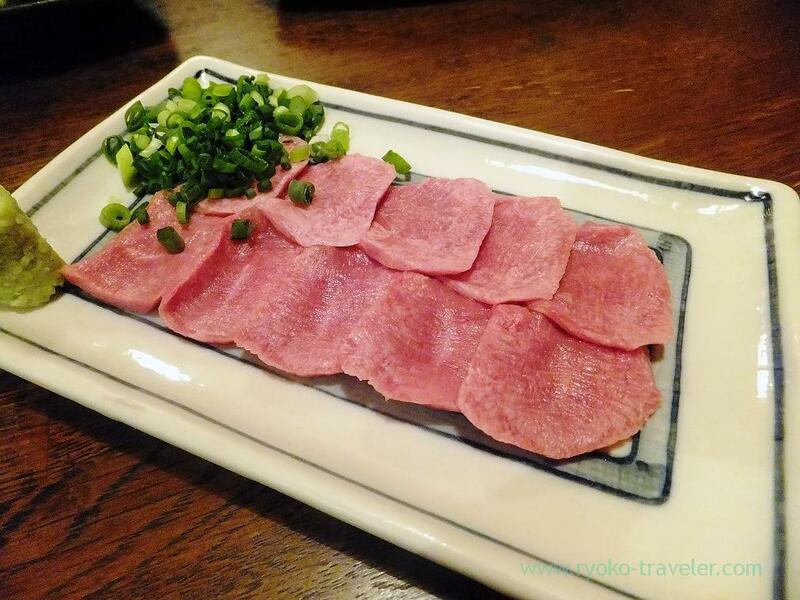 assorted pigs’ raw giblets (三点刺し盛り, 1000 yen) ! 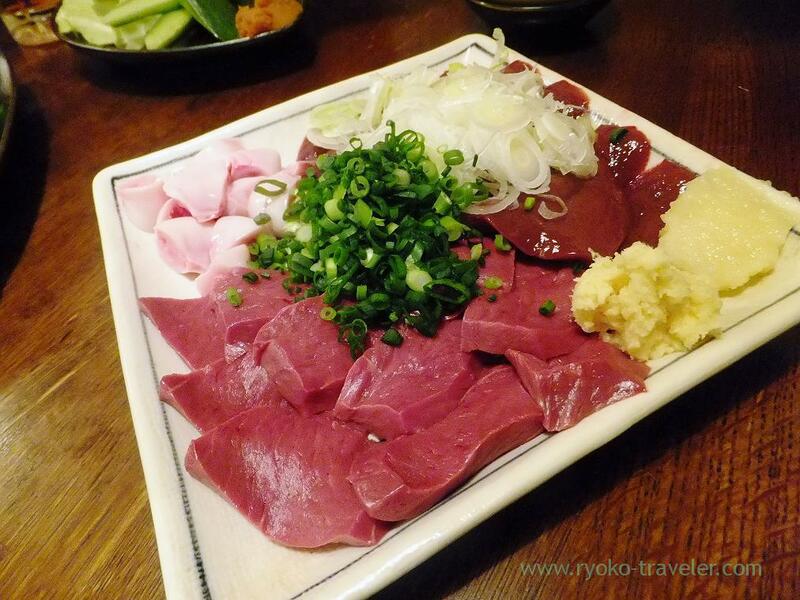 The meat in this side is hearts, and at the back, left is uterus and right is livers. The liver had sticky texture and so tasty ! The uterus was crisp. And the heart was chewy moderately. 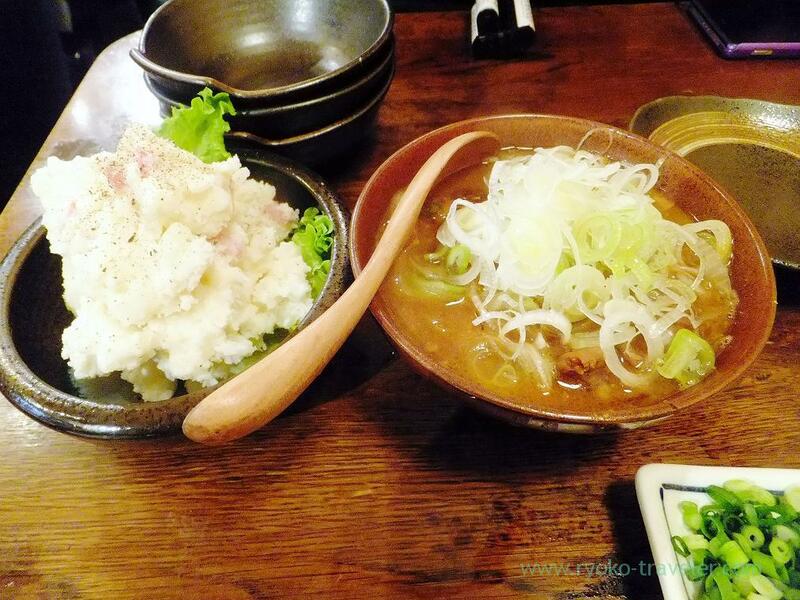 And simmered giblets (もつ煮込み, 480 yen) and potato salads (ポテトサラダ, 450 yen). 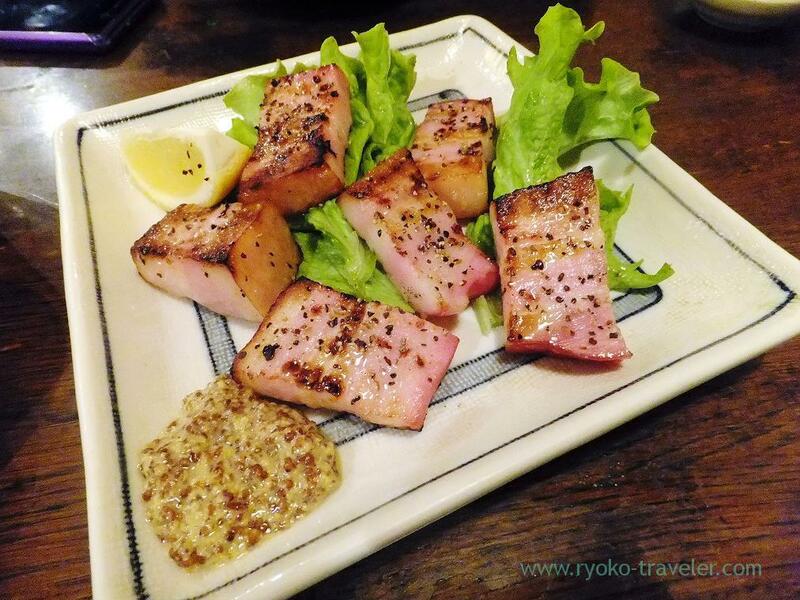 This tofu was simmered and then grilled. 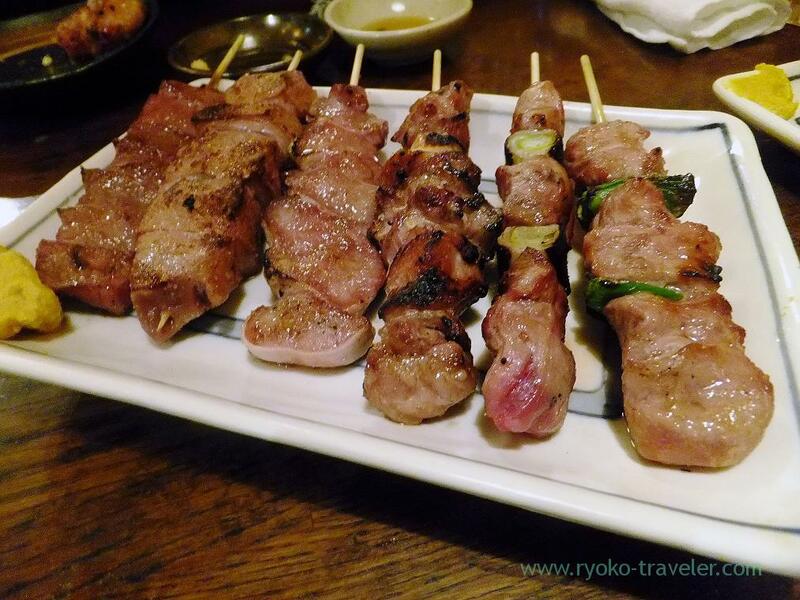 Last, we ordered some grilled meats. It had crunchy texture and tasted good. Only the liver was rare. Another was grilled well. Everything was so tasty. Great pictures of the dishes. 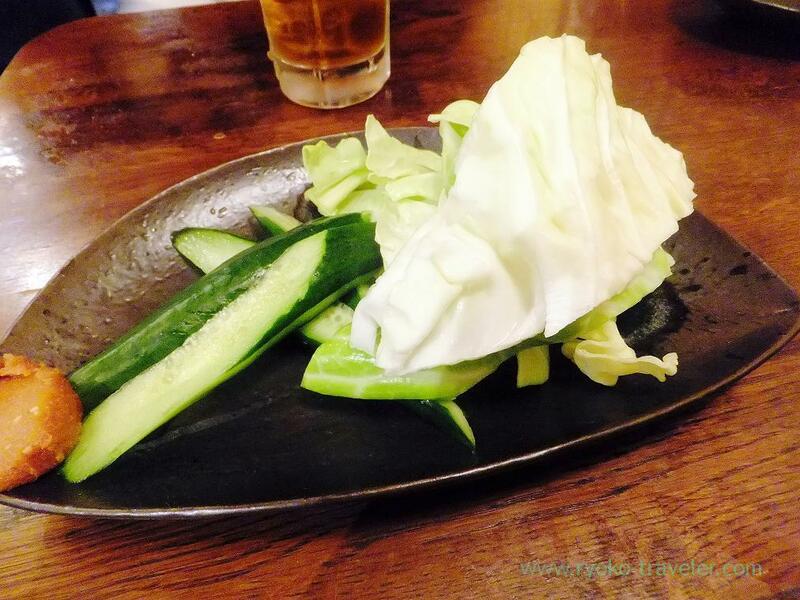 Your blog gives a really good image of all the restaurants. Very interesting. Thanks 🙂 I’m happy you enjoy my blog.